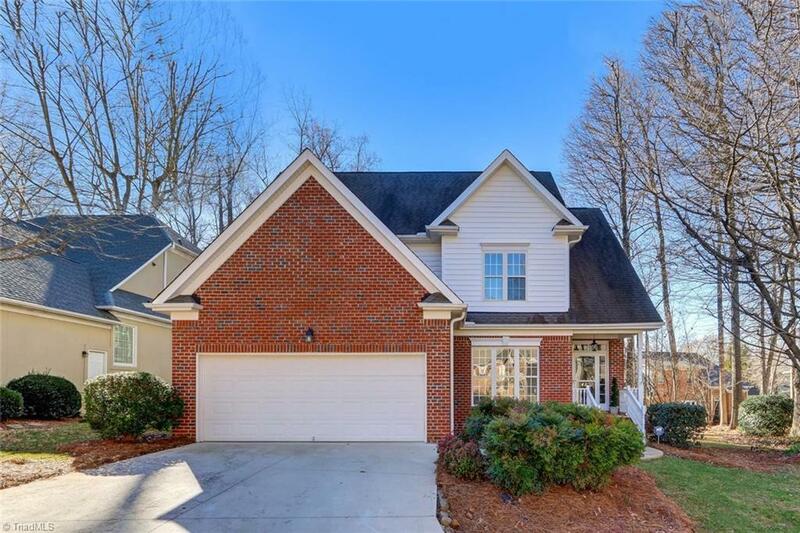 48 Kinglet Circle, Greensboro, NC.| MLS# 912694 | North Carolina Farm and Vineyard Specialist Patria Properties Inc.
NEW PRICE Motivated Seller. Maintenance free lifestyle located in Lake Jeanette. This home has been completely updated. New carpet, wood floors refinished, new lighting fixtures, interior freshly painted and MOVE IN READY. 4 bedrooms PLUS BONUS ROOM lead to loft overlooking 2 story great room. All appliances remain. MASTER ON MAIN . Walk-in attic storage. 2 car garage. Tucked away in private cul-de-sac lot. HOA dues include lawn maintenance. Conveniently located near shopping, parks, and lake.